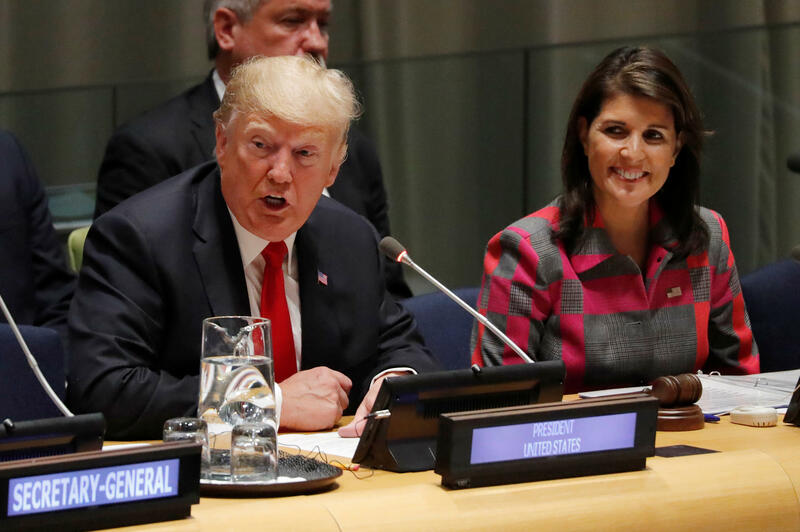 Trump to UN: "We commit to fighting the drug epidemic together"
UNITED NATIONS -- President Trump vowed Monday to work with the United Nations and its member countries to fight drug trafficking and addiction across the globe. "The scourge of drug addiction continues to claim too many lives in the United States and in nations around the world. Today, we commit to fighting the drug epidemic together," Mr. Trump told U.N. diplomats at a meeting of the Global Call to Action on the World Drug Problem. "Illicit drugs are linked to organized crime, illegal financial flows, corruption, and terrorism," Mr. Trump said. "It's vital for public health and national security that we fight drug addiction and stop all forms of trafficking and smuggling that provide the financial lifeblood for vicious transnational cartels." U.N. Secretary-General António Guterres applauded Mr. Trump for "focusing a global spotlight on the world drug problem," adding, "we have never needed it more." Global production of opioids and cocaine has reached an all-time high, with 31 million people around the world requiring treatment for drug use and 450,000 people dying every year from overdoses or drug-related health issues, Guterres told the conference. He called the U.S. opioid crisis "heartbreaking." Drug overdoses killed 70,652 people in the U.S. in 2017, according to the Centers for Disease Control and Prevention. The U.N. is urging member countries to adopt a two-track approach to reducing drug abuse and addiction, Guterres said, by both cracking down on traffickers and increasing treatment for addicts. Sharing intelligence among member states, he said, will help the crackdown, and Guterres urged U.N. members to work together to deny safe haven to drug traffickers, pursue kingpins and dismantle their networks. Despite campaign promises and a high-level focus on international drug trafficking, Mr. Trump has slashed the U.S. counter-narcotics budget by cutting back on personnel at the State Department and other agencies who fight the international drug trade. "One of the clearest constraints imposed by these cuts is on our ability to counter global threats, including narcotics," Brett Bruen, a former White House official who now teaches at Georgetown University, told CBS News. The Office of the Special Inspector General for Afghanistan Reconstruction noted that the U.S. has spent $8.6 billion to fight drug trafficking in Afghanistan since 2002, yet the country remains the world's largest opium producer. Opening the president's week at the U.N. with the counter-narcotics event gave a positive start to his presence at the world body as it is one of the rare areas where the vast majority of U.N. members are on the same side as the United States. The president voiced unusual support for the world body, telling the conference, "I've always said the United Nations has tremendous potential, and that potential is being met. Slowly but surely, it's being met." Mr. Trump will address the General Assembly's 193 member nations Tuesday morning and chair a Security Council meeting Wednesday, his first time wielding the U.N. gavel. Mr. Trump is also scheduled to hold one-on-one meetings with the leaders of South Korea, Egypt, France, Israel, Japan and the U.K.
"It's sort of like speed dating," Nikki Haley, the U.S. ambassador to the U.N., said last week of the president's schedule.